1/12th scale. 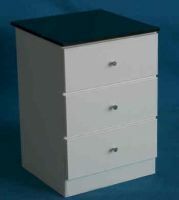 , , This ,range is produced as a Limited Edition to celebrate the 40th Miniatura. , We have a few models left. , They come with a numbered and signed certificate. 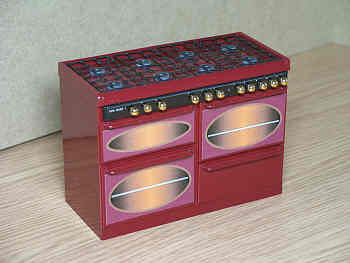 , A very attractive addition to your dollshouse kitchen, it has 'brass' control knobs and handles and the oven doors give the appearance of lights inside. , The doors do not open. , There are pan rests and burners to accomodate 8 pans on the range top. , Don't miss this one, remember it's a Limited Edition !